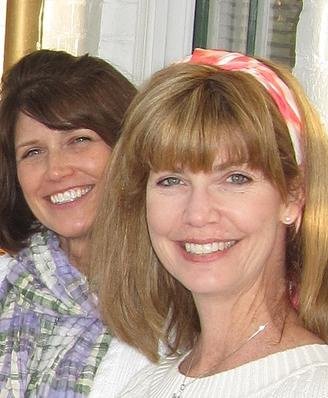 Often mistaken for sisters, Leigh and Victoria (Vikki) consider themselves twins from different mothers. We met on the sidelines of our sons’ baseball game and quickly bonded over books, baseball politics, and Mrs. Brown’s ‘famous chocolate chip cookies’. No surprise to anyone, our decision to write a book also came about over a pizza dinner and we’ve been sharing a love for writing and eating ever since. 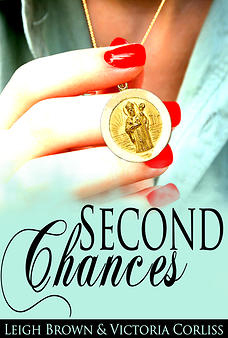 Our first novel, Second Chances, debuted in 2013. It is a story about getting a new lease on life, new beginnings, and that’s exactly what it is for us. Following long careers in public relations (Vikki) and finance/interior design (Leigh), and with sons about to trade in the home nest for college dorms, we were both ready to chart a new course for ourselves. The decision to write a book was a natural choice for both of us. Vikki’s career-based writing skills paired with Leigh’s innate story-telling talents have enabled us to create fiction and produce books that we hope bring you loads of reading pleasure. We’re often asked, ‘but how do you write a book together?’. Please refer to paragraph one: we’re twins from different mothers, literally and figuratively. We think in the same twisted way and share the same crazy ideas as well as the same hair stylist and esthetician. Our relationship is unique not only in the way we synch but also the way we balance, push, and motivate each other. Our second literary collaboration, The Pie Sisters, was released in early 2015. Set against the beautiful backdrop of Lake Canandaigua in New York’s Finger Lakes region, The Pie Sisters is a timeless tale of love, family, and the true meaning of home. In short, it is a novel readers can connect with, relate to, and simply enjoy. The Pendulum’s Truth released in 2018 is the latest title to join the Brown Corliss Books library of women’s fiction novels. Based on the premise that everything happens for a reason, it is the story of Ava Dell, a protagonist with a twist. She has a new home, a new business, and great friends; Ava is happy until life throws her a curve ball. When we’re not meeting our readers at public and private book events, we are writing at home in Rhode Island where we live with our husbands and sons. We’d love to hear from you so email us at browncorlissbooks@gmail.com or check us out on Facebook at www.facebook.com/browncorlissbooks.